Cuddle up with your family on the couch with this heirloom linen album. It's great way to reconnect with each other and share the story of your family! Newborns are so adorable, so tiny! Their minuscule toes! Their legs that still curl into themselves! Ahhh. They also don't stay tiny for long so it's very important to capture those early newborn days. But, packing up a newborn? Don't forget the wipes, diapers, clothes, pacifiers, extra clothes, socks, more diapers, etc. And by the time you've packed everything, it's time to feed and change them again. 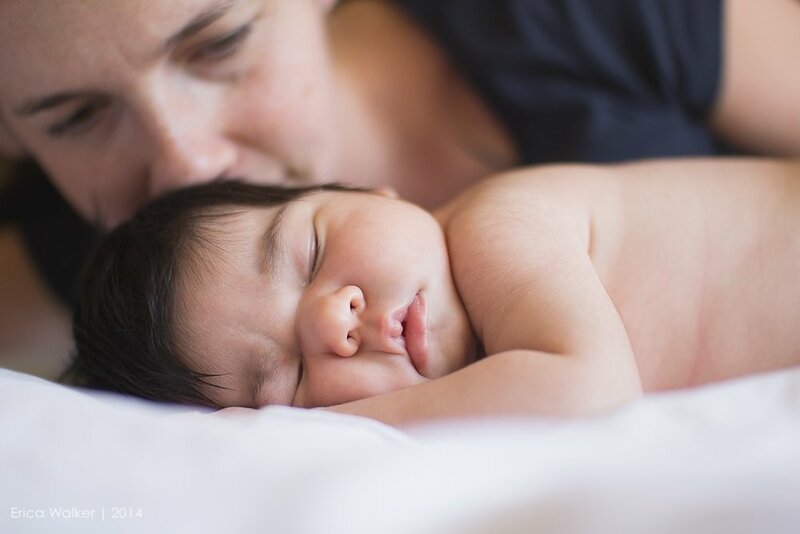 So, if you want those newborn days photographed, what should you do? Well, what if we could bring the newborn session to you? My dear friend has joined the three kid club with the cutest little baby girl. 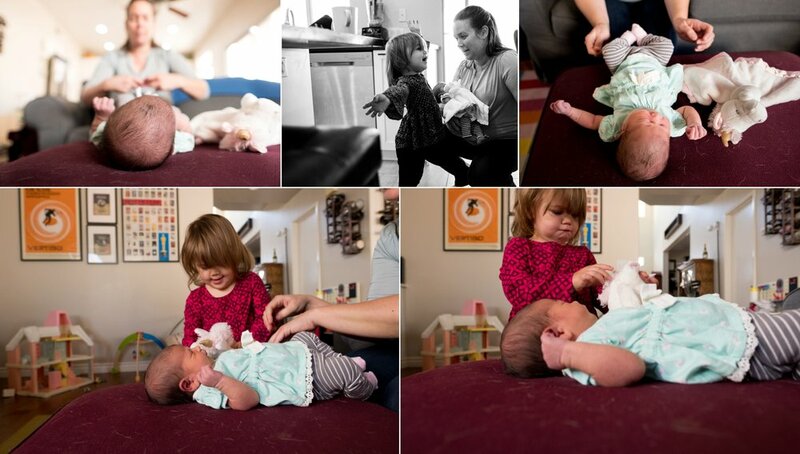 I was so honored to be able to take some in home newborn lifestyle photos of her with her big siblings and parents. Even looking through the computer screen, I still want to pinch those chubby cheeks and brush her hair. What a doll! After having 2 boys, my friends welcomed their new baby girl recently! She was an adorable 5 pounds and I can tell that she's going to be so loved by her big brothers and parents. Thanks for letting me capture some of her gorgeousness on camera. Your family is coming for the holidays. It's time for family pictures!